The safety and recovery systems aboard a spacecraft must undergo rigorous testing before the vehicle can be considered man-rated. For the Orion capsule's parachutes, FUTEK provided NASA with sensors they could use during the testing and validation processes. To validate the parachute’s subsystem, in-line load cells were used to audit the tension on the canopy cables. Additionally, multiple donut load cells were used to monitor the connection force where the canopy attached to the capsule. See how this was accomplished. 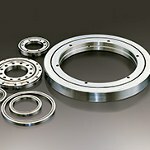 KHK USA Inc offers the largest selection of stock metric gears in North America. With over 175 types, in more than 15,000 configurations, KHK USA offers the broadest selection of spur gears, helical gears, internal ring gears, gear racks, bevel gears, worms and wormwheels, and other gear types. Accelerometers (devices that measures change in velocity) have become essential to modern life. Not surprisingly, demand is rising for inexpensive, high-precision instruments that can be embedded in ever-smaller locations. That is why NIST researchers have developed and are testing a novel silicon-based optomechanical accelerometer less than 1 mm thick. It is designed to deliver measurements with uncertainties better than 1 part in 1,000 -- as good as any laboratory acceleration device in the world. When the Deepwater Horizon oil rig suffered a catastrophic explosion and blowout on April 21, 2010, leading to the worst oil spill in the history of the petroleum industry, the well’s operators thought they would be able to block the leak within a few weeks using a 125-ton containment dome over the broken wellhead. But that didn't work. The culprit was an icy mixture of frozen water and methane, called a methane clathrate. Now, a team of researchers at MIT has come up with a solution that might prevent such a disastrous outcome the next time such a leak occurs. Electric motor technologies in aircraft are making steady development progress -- and setting records along the way. Case in point is the Extra 330LE aerobatic plane, powered by a propulsion system from Siemens, which set several records recently. Weighing just 110 lb, the system supplies a constant electric output of 260 kW, which is five times more than comparable propulsion systems. 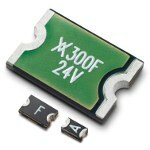 It features unique weight-to-performance ratio of 5 kW/kg. On the hunt for more 3D printing information? Check out “Industrial 3D Printing for Dummies.” It’s filled with facts, figures, and recommendations that will help you improve product development with additive manufacturing. PolyJet is one of the few industrial 3D-printing technologies that allows the use of multiple materials in a single part build, and is one of the few technologies that can print these materials together in a single layer. In addition, different colors and hardness levels can be combined. But what do you need to know to get started? Gus Breiland, Customer Service Engineering Manager at Proto Labs, lays it all out. The NEW valveless Waste Transfer Pump from Fluid Metering, Inc. (FMI) was designed for removal of waste fluid generated by medical diagnostic instrumentation during the process of analyzing a variety of patient fluid samples. This pump utilizes FMI’s unique CeramPump valveless piston fluid control technology. 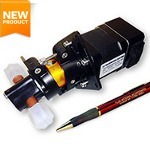 One moving part, a rotating and reciprocating ceramic piston, accomplishes all fluid control functions, thereby eliminating the need for check valves present in other reciprocating pump designs (diaphragm, bellows, solenoid piston, syringe). This design features sapphire-hard, dimensionally stable ceramic internal components and substantially outperforms peristaltic pumps relying on flexible tubing. Littelfuse has introduced three series of PolySwitch AEC-Q200-qualified resettable Polymeric Positive Temperature Coefficient (PPTC) devices designed for robust overcurrent protection in extremely harsh automotive environments. Unlike fuses, resettable PPTCs do not require replacement after a fault event; they allow the circuit to return to the normal operating condition after the power has been removed and/or the overcurrent condition is eliminated. PolySwitch ASMDC, femtoASMD, and picoASMD Series Resettable PPTCs are ideal for applications in automotive infotainment, communications (GPS navigation), network (CAN Bus, LIN bus), body electronics (door locks, lumbar pumps), security (keyless entry, rearview camera), and climate control systems. 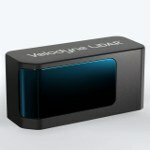 The new Velarray LiDAR sensor uses Velodyne’s proprietary ASICs (Application Specific Integrated Circuits) to achieve superior performance metrics in a small package size of 125 mm x 50 mm x 55 mm that can be embedded into the front, sides, and corners of vehicles. It provides up to a 120-deg horizontal and 35-deg vertical field of view, with a 200-m range even for low-reflectivity objects. With an automotive integrity safety level rating of ASIL B, Velarray will not only ensure safe operation in L4 and L5 autonomous vehicles but also in ADAS-enabled cars. 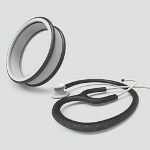 It has a target price in the hundreds of dollars when produced in mass volumes. See first-hand how FloEFD stacks up as a Computational Fluid Dynamics solution. Mentor's new standalone 30-day FloEFD Cloud Eval allows you to fully test drive FloEFD -- no licenses to install, no permissions to jump through, no IT tickets to submit. This cloud-based environment is a click away and will have you up and running in minutes. 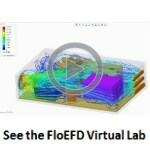 You get access to FloEFD software, hosted in the Mentor virtual lab environment; use of comprehensive sample design models covering a wide-range of applications; step-by-step tutorials; and the ability to quickly analyze projects leveraging 8 virtual cores. Check the eval program out today. 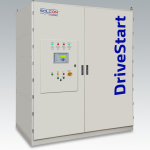 Two years ago, Solcon Industries released the DriveStart to deliver on a promise: create a medium-voltage motor control that costs less and requires a smaller footprint than a variable frequency drive (VFD). DriveStart is the first of its kind. It's an IGBT-based medium-voltage soft starter with ratings of 6.6 kV up to 750 A. On a turbo vacuum blower at a paper mill in Indonesia, a DriveStart was commissioned to overcome issues with a weak power supply, high inertia start, and other conditions. The DriveStart limited the starting current to lower than nominal as it accurately controlled the speed in order to prevent over speed, accurately adjusting the acceleration of the motor load to optimize the power usage. As a kid playing with Hot Wheels cars, you probably dreamed of being a grown-up and pulling a wheelie when the light turned green. You found out as you got older that they really don't make production cars like that. Well, that was then. The 840-hp Dodge Challenger SRT Demon, the world’s most powerful factory-production V-8, has arrived -- and it comes complete with wheelie-inducing Drag Mode Launch Assist. Metal 3D printing has enormous potential, but the most popular metal printing processes, which use lasers to fuse together fine metal powder, have their limitations, including that parts can end up with gaps or defects caused by a variety of factors. To overcome those drawbacks, Lawrence Livermore National Laboratory researchers, along with collaborators at Worchester Polytechnic Institute, are taking a wholly new approach with a process they're calling Direct Metal Writing, in which semisolid metal is directly extruded from a nozzle. On a hill in southwest Oklahoma, Soldiers and civilians have been testing equipment that can assist service members in the fight against unmanned aerial vehicles (UAVs). The testing took place during Fort Sill's Maneuver Fires Integrated Experiment (MFIX) from April 3-14. The equipment is called AUDS, which stands for anti-unmanned aerial vehicle defense system, and works against UAVs (or drones) by detecting, tracking, identifying, and defeating them. 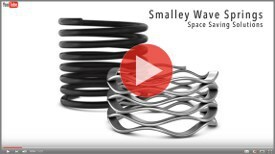 Fused Deposition Modeling (FDM) and Selective Laser Sintering (SLS) are both great ways to produce precision end-use parts, but the materials available in both processes have specific strengths and weaknesses. In Xometry’s latest video, Director of Project Engineering Greg Paulsen puts multiple 3D-printing materials to the test to see which can withstand the most torque. What will happen when he uses a wrench to apply force to FDM ABS-M30, FDM Nylon 12, SLS Nylon 12, FDM Polycarbonate, and FDM Ultem 9085? 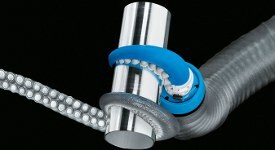 The air-power wizards at Festo have created a bionic OctopusGripper that consists of a soft silicone structure that can be pneumatically controlled. If compressed air is applied to it, the tentacle bends inward and can wrap around an item in a gentle manner. Just as with its natural model, two rows of suction cups are arranged on the inside of the silicone tentacle. While the small suction cups on the end of the gripper work passively, a vacuum can be applied to the larger suction cups so the OctopusGripper can pick up and hold a variety of different shapes.